A form of upcycling, or creative reuse, like the Cajun triangle, the key to the frottoir is its corrugated metal pattern, which, when rubbed, scratched, strummed, tapped, or beat with another piece of metal, creates a variety of sounds. Though the frottoir is a relatively recent invention, the rubboard-type instrument has antecedents stretching back to precolonial West Africa: notched gourds, groove-cut animal jawbones and horns, that were played by scraping a wooden stick over the manmade indentions. Similar washboards were common in most every early American music vernacular, from jazz to blues, folk, jug bands, and New Orleans “spasm” bands (in the United Kingdom, the scrub board played a prominent role in the post-1950s skiffle music revival). No one knows who first played the washboard in Zydeco and Cajun music, but it is likely that the first instruments were sourced from the rigid metal or glass drip trays found in old-time iceboxes. Eventually, laundry washboards were adopted. These makeshift instruments were held in the crook of an arm, cradled between the knees or feet, or hung from the neck with a piece of rope. Any number of metal utensils were, and still are, used to force sounds from the washboard’s corrugations: thimbles, spoons, bottle openers, coins, or even gloves with rivets attached. One of only a small handful of musical instruments native to the United States, the original frottoir was invented and named in 1946, not in Louisiana, but nearby Port Arthur, Texas. Clifton Chenier, an accordion virtuoso and the future “King of Zydeco,” asked his friend Willie Landry, a Cajun master welder and metal fabricator, if he could construct a new washboard for his brother Cleveland. According to legend, Clifton sketched a design in the dirt. Clifton’s washboard dream would be manufactured from a single piece of metal, a vest with shoulder straps that covered his brother’s chest like a knight’s armor. 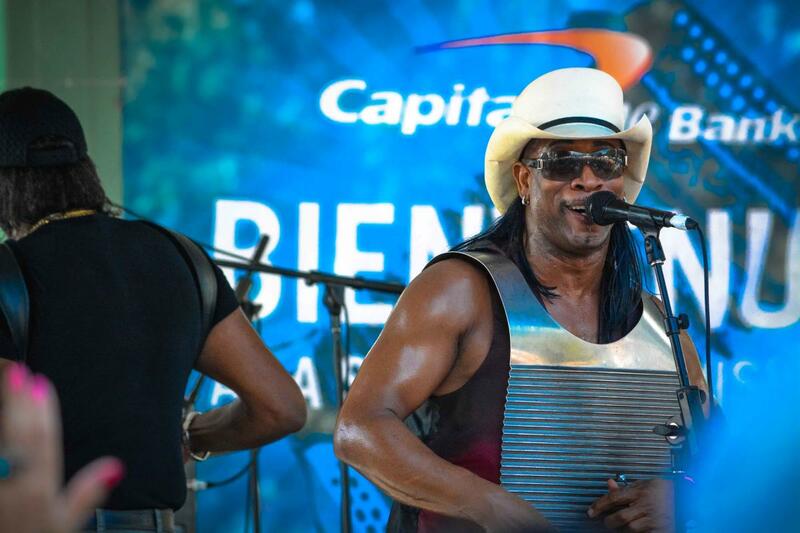 Because of its wearability and playability, Chenier and Landry’s design took off, becoming the standard in Zydeco music. Notable frottoir players have included Chester “Iron Jaw” Zeno of Rockin Dopsie’s band, and Elijah Cudges, who played alongside accordionist Buckwheat Zydeco. The frottoir has even crossed-over to non-Zydeco bands, treasured by percussionists the world over, like Cyril Neville of the Neville Brothers. Today, Willie Landry’s son Tee Don Landry handcrafts Key of Z Rubboards in Sunset, Louisiana, preserving a Zydeco heritage and a family tradition.